Since I'm in class all day and won't get a chance to write up a recap of all that happened until late tonight or early tomorrow morning, I'm sharing something else today. Sunshine was the Bee Princess for The Primary Bee in March. 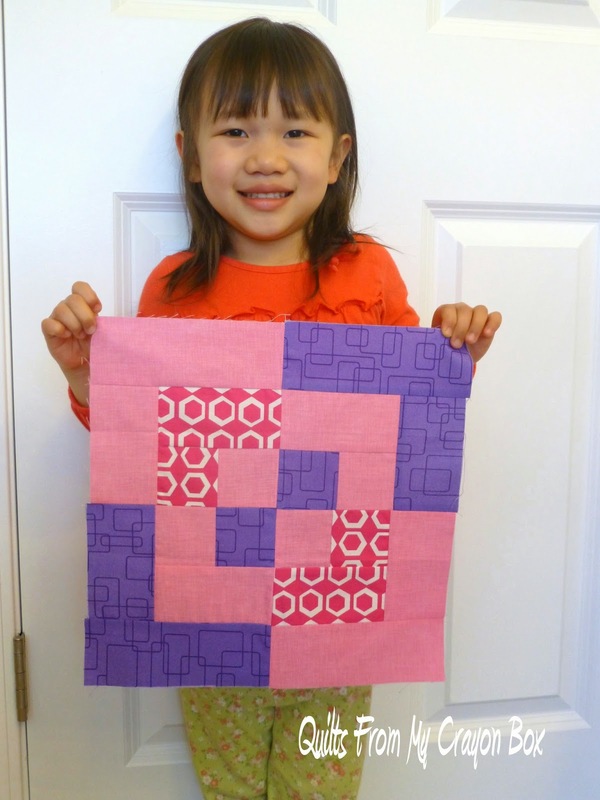 She chose the Bento Box block in Light Pink, Pink and Purple. Here are the blocks she has received from her bee mates so far. 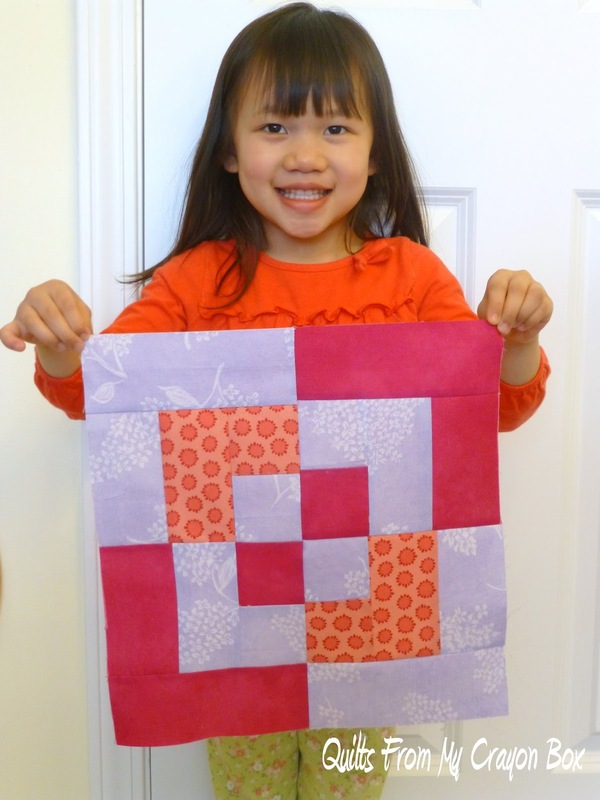 From Sarah who's mom Heather blogs over at A reformed heath'n came this adorable block. From France made by Pippa's daughter Amelia she received this one. 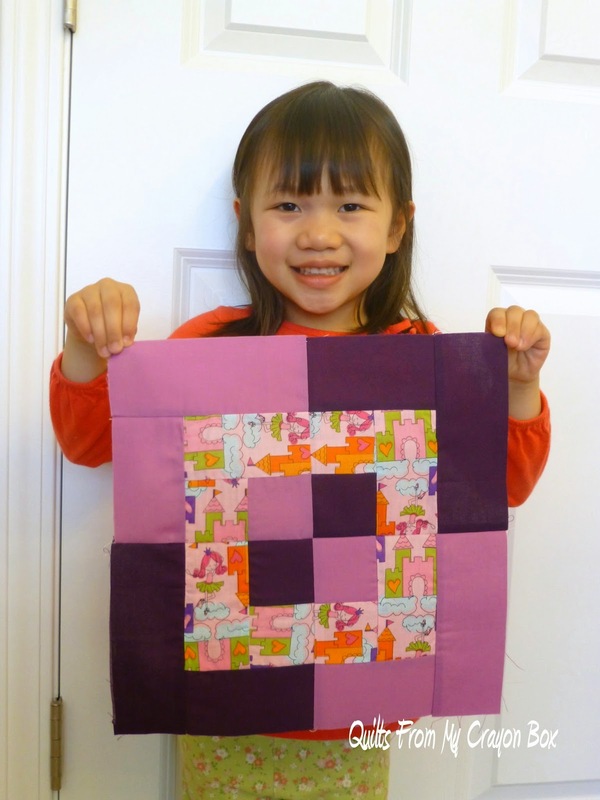 Monkey who's mom Nikita blogs over at Monkey and I sent this one with awesome Princess and castle fabric in it. The gang from Muddy Spring sent these two. This is the one was created by Tiny. And Mawg made this one. Don't they look great together? 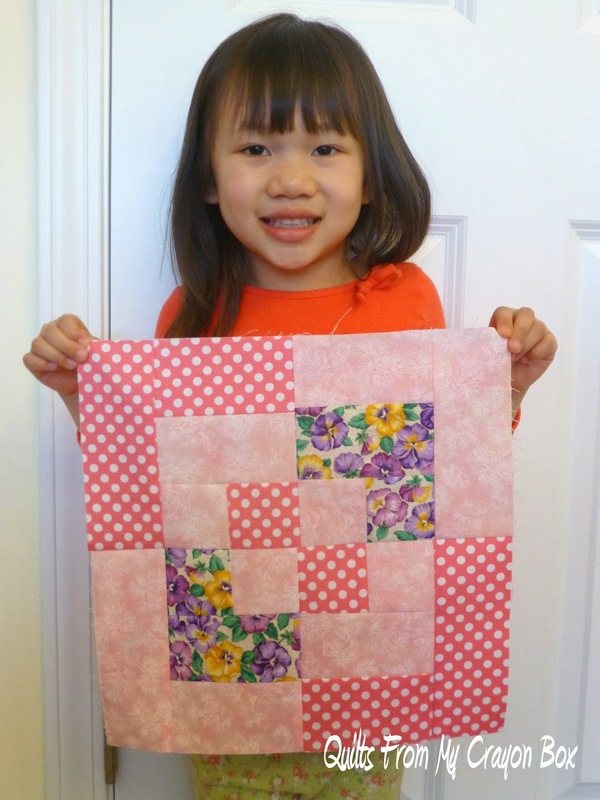 This Quilt will be so much fun to put together with Sunshine.﻿ In the next few weeks she'll make her block and Jammer will do the same and as soon as we receive the rest of the blocks from her bee mates we can start deciding how to arrange them for the final layout. To say that she is excited each time an envelope arrives with her name on it is putting it mildly. 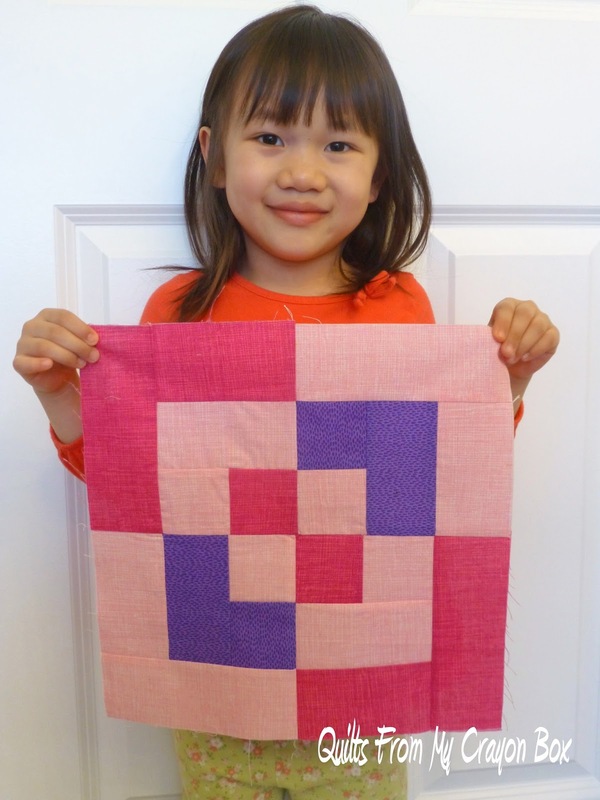 I know that the look on her face when the quilt is finally done will be priceless. That is so cute! She is going to love it. So proud of my niece! Sunshine is so cute with her blocks! 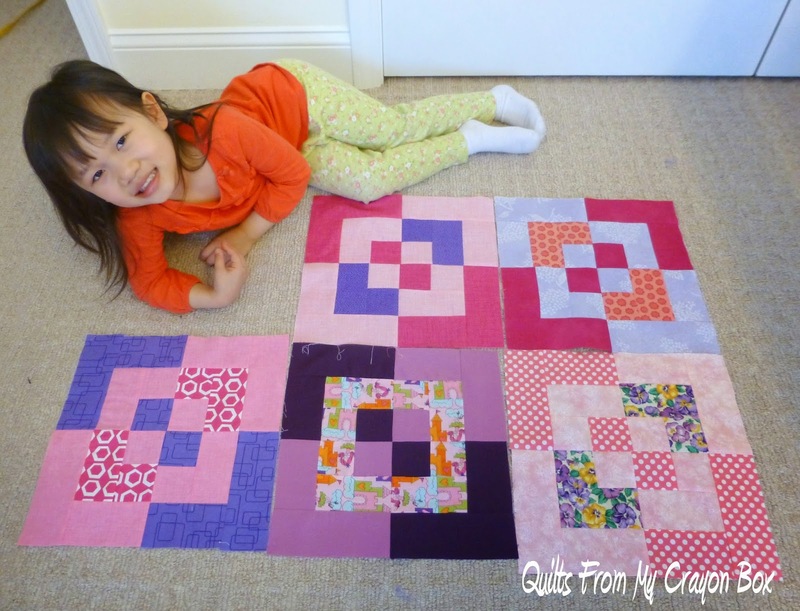 I can't wait to see her finished quilt…. just A D O R A B L E!!! This post made me smile! So sweet, the blocks and sunshine! Can't wait to see it all finished!